Gutowsky, L.F.G., Stoot, L.J., Cairns, N.A., Thiem, J.D., Brownscombe, J.W., Danylchuk, A.J., Blouin-Demers, G., Cooke, S.J. 2017. Biologgers reveal post-release behavioural impairments of freshwater turtles following interactions with fishing nets. 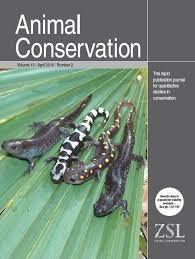 Animal Conservation 20:350-359.